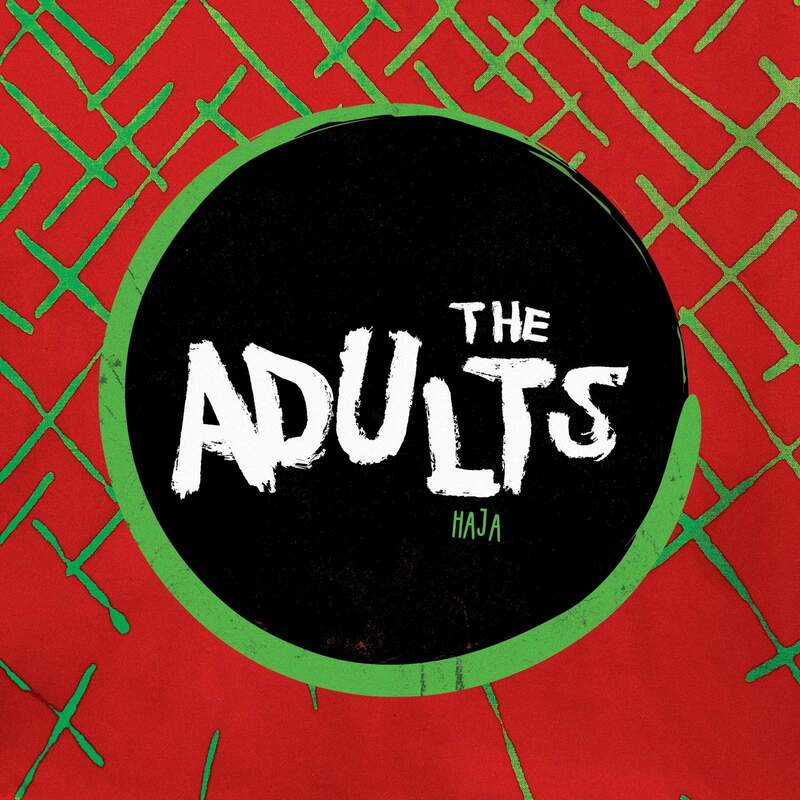 It was obvious from the first single that Jon Toogood’s new The Adults album possessed something different. The African influence and feminist leanings made the video look like it’d been lifted directly from the recent Black Panther movie. “Bloodlines” is a banger of a track, with raw primal energy, incredible percussion, powerful themes and a hip-hop direction. One listen and Toogood had my attention. I needed to hear the rest of the album! Toogood released the début eponymous album by The Adults back in 2011. A collaborative project that involved inviting some of NZ’s première musicians to help write and record songs that didn’t fit the Shihad mould. Seven years later, Haja is a follow-up that loosely follows the same set up, but with far different results. The story behind Haja is neat. When Toogood married his wife in Sudan he became enraptured with the traditional music played at the ceremony: Aghani-Al-Banat – which roughly translates as “girl’s music”. He asked the band to play with him for the new record, and then asked NZ musicians he admired to add their touches. Now this isn’t exactly low-fi quality, but many of the tracks originate from phone recordings. Not that you’d know. They sound great, brimming with liveliness. Kudos to sound engineer Devin Abrams for creating something so good from what he had. Opening track “Boomtown” lets us know from the first bar that we’re in for some fun, with pulsating bass, a beat you need to move to, and infectious African background vocals. Chelsea Jade’s cooed singing and hooks contrasts against Raiza Biza’s rapped verse, and both artists add authenticity to the track, having been born in African nations and immigrated to New Zealand. “Boomtown” is a strong, vibrant start to the album. Title track “Haja” – an Arabic title of respect that means older/experienced woman – blends music from various cultures beautifully. The traditional Sudanise Aghani-Al-Banat music of vibrant drumming and chanting carried by bass lines. Two thirds into the track guitar comes to the forefront, which adds a light boogie feel to an already dance-able song [it reminds me a lot of “Plot A Course” by Barouche]. It wouldn’t be fair to say that “Take It On The Chin” drags, but within the context of the album it certainly lacks the energy of many of the other tracks. That said, it can’t be faulted when judged on its own merits. A lazy bass line, smooth flow courtesy of Kings, and some catchy hooks come together to culminate in a chilled yet triumphant track. Likewise, “Because of You” is fine, but feels flat stacked against most of the other tracks. The vibrant Aghani-Al-Banat beats that provide a basis for most of the album colour those tracks so brightly that the songs without African drumming struggle to stand out. Toogood’s bass playing is a strongpoint throughout the album, and really carries this track, along with shimmery pads and synthetic sounding metronome that provide momentum. “That Gold” feels like a throwback to the original The Adults album, with a Police-esque beat and bassline. Raiza Biza makes a second appearance; and Aaradhna’s soulful singing, Biza’s rapping, and Sudanese chanting overlap beautifully to offer complex vocal layers. Album closer “Gisma” (the name of the leader of the Aghani-Al-Banat band) ventures into The Cure territory, with some introspective lyrics sung as a love letter from Toogood to his wife. It’s a tender side of Toogood that we don’t often see with his main band. I’m reminded of Shihad deep cut, “Lightbulb” from the Beautiful Machine bonus disc, or the acoustic Pacifier sessions they recorded at Radio New Zealand’s Helen Young Studios. Shihad are one of my favourite bands, and by extension Toogood is one of my favourite singers. So I find it interesting that he has put out a record that you hardly hear him sing on. You could question why a New Zealand male is writing Sudanese music for girls [loosely paraphrased], or why a rocker is making a hip-hop album. But it works. It’s a great record. Maybe it’s wrong to consider it a Toogood record – because he’s not the star, but more the string that ties all these estranged influences together. Of course, this could explain why he chose to put this release out as The Adults, and not under his own name. 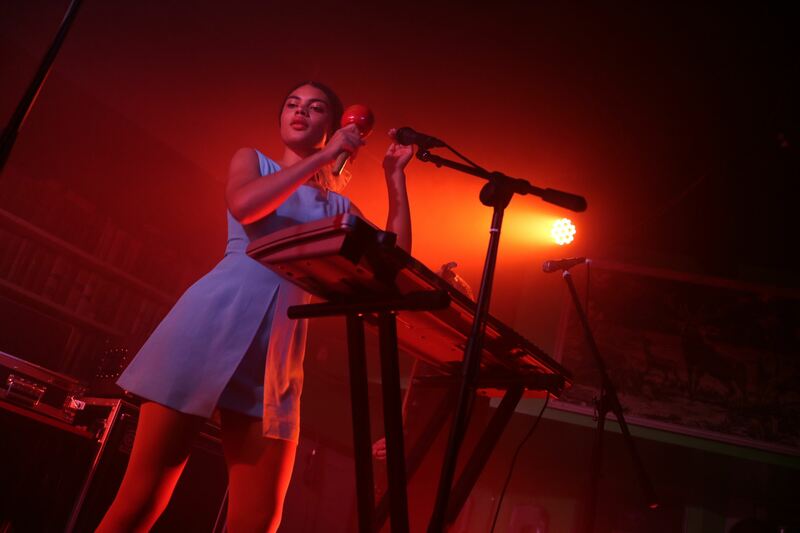 Haja is a short yet powerful record, carefully cultivated and packed with infectious energy. I can’t say I expected African feminist hip-hop from the singer of one of my fave hard-rock bands, but here you have it. Give it a listen and let the rhythms sweep you away.